Will my passport expire when I turn 18? Question: If I am 17 now, and just applied for a new passport, will it expire in 6 months when I turn 18? Answer: No. Your passport will not expire in 6 months. Passports issued to persons age 16 and over are valid for 10 years. 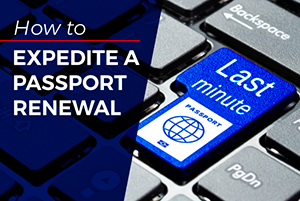 Since you were 16 or older at the time your present passport was issued, you will be able to renew it by mail when it gets close to the expiration date. Of course, you have to meet the other criteria as well. Also, you will no longer need parental consent in order to apply for a passport once you complete 18 years of age. Comments for Will my passport expire when I turn 18? Question: My son is 18. His passport expires in August of 2019. Is it still a valid passport? Answer: Yes, it is valid. Your son may use his passport for travel as long as it still meets the entry requirements of his destination. Question: My son's passport expired in November last year. He is now turning 18 years old. How do I get it renewed and how long will it take? Answer: Passports issued to minors cannot be renewed. At 18, he now needs to apply for his new adult passport in person at an acceptance facility. The passport will then be valid for 10 years and can be renewed by mail when it expires. Question: My daughter is turning 18 in May. We did get her passport in April 2016. She is flying out to Mexico in June. Do we have to get her another passport. If we do, how do we do that. She is turning 18 in May and flying out in June. Answer: Your daughter may continue to use her passport until it expires. Her becoming of legal age does not warrant a new passport. Question: I have Indian passport. My passport is going to expire in June and I’m turning 18 in June, on the expiration date. I’m a PR of US but not a citizen. I only ave 2 months left until expiration. I have to go to India in June for urgent work. What is process of renewing my passport? And how much time will it take? Answer: Please contact the Indian Embassy or Consulate regarding your Indian passport. Question: I got a U.S. passport for my son when he was 14 years old. He is now 19 and it is time to renew but i am reading that if you apply for the first time over 16 there is an execution (acceptance) fee. Do I send a normal application or do i need to send this additional fee? Answer: At 19, your son now needs to apply for a passport on his own in person. Since this will be his first adult passport, he needs to pay the $35 execution fee in addition to the $110 application fee. You may find a complete list of fees here. Question: I got a passport when I was 14. I am now 18, can I still use that passport or do I have to get a new one? Answer: You may use your passport until it expires. Question: My son renewed his passport at age 15. He will turn 18 this year and the passport is still valid until 2021. Is he required to renew for an adult passport to travel internationally this year? Answer: There is no need. Your son may continue to use his passport until it expires. I don’t know if I had a passport as a minor and I would like to apply for a new passport as an adult. Do I need to fill out the lost form or renewal, or new form? Or what should I do? Question: I’m just wondering. I’m getting my first adult passport as just turned 18 but I’m a bit worried of what questions I’m going to get asked. Answer: There will be no interview when you apply for a passport. All the information required will be in Form DS-11. Question: My daughter was issued a passport at 15 and a half and just turned 18. The passport date is still valid. Does she need a new passport because she is now an adult? Answer: Your daughter may continue to use her current passport until it expires. Question: I got my passport in October of 2013 when I was 13 years old. I turned 18 recently and am wondering if I will need a new one in order to travel outside of the country before October. Answer: If your passport is still valid and meets the requirement of the country you are traveling to, you may still use it for travel. Otherwise, you need to apply for a new passport this time as an adult. Question: My ex has the passports in a vault somewhere and I cannot see when my kid's passports expire. 1. My soon to be 16 yr old was issued a passport around 5 yrs old, she will be turning 16 in a month. She will be applying for a new passport. Will she need only her driver's license, 1 parent to sign for her, and only 1 parent present at passport agency? Do we do all of these at the main passport office or can we go to the local library that does passport services? 2. I never received my renewal passport. I applied for my renewal early last year and would like to know if it was ever mailed to my home? I put in an inquiry with passport agency online, but no record found. I then provided my email address. Is there any other way to see if it was ever complete or mailed? 3. My other kid, now 18 years old, was issued a passport at age 13 or 14 and need to know if that expires at age 18 or other age? Answer: At 16, your daughter may apply with only one parent's presence or written consent if she already has her own government-issued ID to present with the rest of the application requirements. 2. Since it has been over the year, you will need to apply for a new passport. Please call 1-877-487-2778 for further advice on the manner. 3. Passports issued to minors are valid for 5 years. If the passport was issued at 13, it should be expiring this year. If it issued at 14, it should have a year or so validity left. Question: My son was 13 years old when his passport was made and it expires when he turns 18 this year. What is the procedure to renew it. Question: I am now 14 years old I am getting a tourist visa through my school to the USA. Can I transfer my visa to my new passport after my old passport expires? Answer: Please contact the National Visa Center regarding your concern. Question: I was 15 when my passport was issued. It will expire on 15 Oct and I'm going abroad on the 14 of August. Can I to renew my passport before September? Answer: Passports issued to minors cannot be renewed. You now need to apply for a new passport as an adult. You can do this ASAP so you will get your new passport in time for your trip. Question: I got my passport when I was 15 and it expires Jan 9, 2019. I am traveling out of the country August, 2018 and want to know if my passport will be good. Answer: Hi! Yes, your passport is still good for travel. Question: I have a passport from when I was a child and it just expired. I am now 18 and wanted to know if I need to renew my passport, or apply for a new one as an adult passport? Answer: You need to apply for a new passport. Question: In 2016, I was 15 and I had issued for passport. But in 2019 I will turn 18. Is it necessary to apply a new passport? Answer: It is not. You may continue to use your passport until it expires in 2021. Question: So I turned 18 in October 2017, but my passport doesn't expire until June 2019. Do I have to renew my passport? Answer: You may continue to use your passport until it expires. When it does, you need to apply for a new passport as an adult. Passports issued when one was a minor cannot be renewed. Can my 17-year-old son travel with his current passport? Question: My son is has a valid passport, but he will turn 18 in September. We are planning to go overseas this coming June and July. He will turn 18 in September. Does he need to renew it before traveling or can he renew it when he turns 18? Answer: Your son may travel overseas with his current passport as long as it meets the entry requirements of your destination country. When it expires, he need to apply for a new passport. He will then be issued a new 'adult' passport that will be valid for 10 years. Question: My son has been a green card holder for more than 8 years. He's 17 years old. He's turning 18 on July 2018, but his green card will expire on Sep 2018. Can he apply for his citizenship before he turn 18 or he has to wait to be 18? Answer: If you are a U.S. citizen, you son automatically acquired U.S. citizenship under the Child Citizenship Act of 2000. Please contact the USCIS for further assistance. Question: I have not renewed my passport since I was 6 years old. I was told that since I was underage, I have to reapply for a brand new passport rather then renew. Would I reapply starting from scratch or would I just have to renew? Answer: You were informed correctly. Passports issued to minors age 15 and younger cannot be renewed. You need to apply for a new passport and submit the requirements in person at an acceptance facility. By mail or in person? Question: My passport was issued in 2004 when I was 14 and expired in 2009 when I was 19. Can I renew by mail or do I have to go in person? Answer: You need to apply in person at a nearby acceptance facility in order to obtain a new passport. Question: My daughter has just turned 18 and has a valid passport but it's a minor one valid for 5 years. Does she need to change this? We are traveling to Florida and it states 18-year- old citizens should hold a 10-year adult passport. Help. Answer: Your daughter does not need to apply for a new 'adult' passport until her current one expires. Passports issued to minors serve the same purpose as adult passports as long as they are valid. Does a passport expire when a minor turns 18? Question: My sister received her passport at age 15. She is now 18 years old. Does she need to apply for a new passport since we are traveling out of the country this summer? Answer: Passports issued to minors age 15 and younger are valid for five (5) years from the date of issuance. Since your sister's passport was issued when she was 15, it should be valid until she is 20. Passports do not expire when a person reaches age 18. Therefore, your sister does not need to obtain a new passport in order to travel out of the country this summer. Comments for Does a passport expire when a minor turns 18? Do I need to get my passport renewed? Question: I am going to be 18 years old in July. I have my Indian passport which claims it will be expired on the day before my birthday, do i need to get it renewed now? Answer: Please contact the agency that issues Indian passports regarding your concern. Question: My son's passport is expiring in March. He will turn 16 yrs in April. If we apply to renew the passport before April will they provide passport validity for 5 years or 10 years? Answer: If you apply for your son's new passport at 15, he will be issued a passport valid for 5 years. If he applies at 16/a>, he will be issued an adult passport valid for 10 years. Question: Hi. My son is 17. I renewed his passport last year. Can he sign his passport on his own. Or can he sign when he turns 18? Answer: He may sign his passport if he is able to. Question: I am 17 years 8 months old. Should I apply for a passport as a minor or an adult? Answer: You may apply for an adult passport. At 17, you can apply for your passport without parental presence if you already have your own government-issued ID. You will then only need a signed statement of consent from at least one parent plus a photocopy of that parent's ID. These must be submitted with the rest of the application requirements. If you wait another 4 months to turn 18 and apply, there will be no need for signed consent and parent's ID. Question: I got my passport when I was 15. I am now 21. It is expired. I know I have to apply for an adult passport, but can I use my expired passport for the identification part of the needed documentation? Answer: Unfortunately, a passport issued when one was a minor cannot be used as proof of identity for a new passport application. Question: Daughter got her passport at age 12. Passport doesn’t expire till December 2019. She will be 17 at the time of travel to London in March 2019 before her passport expires. Does she need to apply for an adult passport before traveling? Answer: There is no need. Your daughter may continue to use her current passport until it expires. I'm 18, in Canada. How should I renew my U.S passport? Question: I was born in July 16 2000, my date of issue was at June 22, 2010 and my date of expiration is June 21, 2015 and I need to renew. Can I renew my passport online (DS-82) or go in person (Form DS-11)? Answer: Passports issued when one was a minor cannot be renewed. You need to apply for a new 'adult' passport in person at the U.S. Embassy in Ottawa or any of the U.S. Consulates located all over Canada. Please use Form DS-11. Question: I am at age of 17 years 3 months. If I apply for passport this year, do I need to renew it when I turn 18? Answer: No, you do not. Your passport will be valid until 2028. Passports issued to citizens age 16 and older are valid for 10 years. Question: I[m going to be 18 next day, if i apply for a passport, will it will be a minor's passport and for how long will it be valid? Answer: Citizens age 16 and over are issued adult passports that will be valid for 10 years. Some what frustrated... But OK. I wish I knew about the age thing. I would have waited 2 more months to renew his passport, he was turning 16. It would have been an adult passport that would last 10 years. Now it is due in 2020. We are 4, Hispanics, it is not just a privilege, it is a must. But at least we have them, praise the Lord. Question: I got my very first passport in 2009 & I am now 18. To go get my renewal, would I still need my parents? What form & documents would I need? Answer: Passports issued when one was a minor cannot be renewed. You need to apply in person for a new passport at an acceptance facility. Since you are already of legal age, you no longer need to be accompanied by your parents. You find the closest post office location and schedule an appointment here. Passport Expired years ago, renew or new. Question: Hi, I received my first passport at the age of 17, it was good for 10 yrs. It expired 8 yrs ago. Do I need to renew or get a whole new one? Answer: You need to apply for a new passport since the last one has been expired for more than 5 years. Question: My passport was issued in June 2013 and that is going to expire in 2018. I am 17 and I will turn to 18 in November. Could I get an adult passport? Answer: Yes, you can. New passports issued to citizens age 16 and older are "adult" passports valid for 10 years. Question: Hello, I was interested in knowing what I should bring with me to send in when I apply for my new passport? I have one that was issued to me as a minor & expired in 2017 & was wondering if need be to bring that & any other forms of identification, copies, etc. You can find a nearby post office facility and schedule an appointment here. Question: My 17 year old daughter's passport was applied for at the post office the day before mine was (I was with her, but had to go back the next day to do mine because they were closing). When I go online to check the status, hers says that it's still processing, but mine says it's in the final stages. Should I be concerned that something is wrong with her application? Should I have heard something from them by now if they needed something done differently? It's been about two weeks since we applied. Thanks. Answer: Routine service takes 6 to 8 weeks while expedited service takes 2 to 3 weeks. The application should be processed within this time frame. 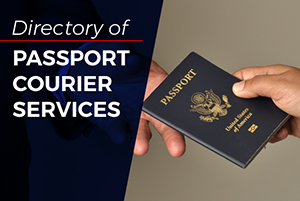 If there was something amiss in the application, Passport Services would already have reached out to you in writing. Question: Was 21 when I got a passport. Now I’m 50. Can I️ renew it? You need to apply in person at an acceptance facility where an agent will adjudicate the form and witness your signature. You can locate a facility and schedule an appointment here. Question: Hi my daughter is 18 years old now and acquired her passport when she was 3 years old at the U.S. Embassy in the Philippines. Then when it expired was renewed at age 10, also issued by the U.S. Embassy in the Philippines. What are the things that should be done first before she can apply for a new passport with legal age since she is in USA now? Does she have to get it from the Philippines? Or can she get it here in the U.S? If so, what are the documents needed? And does she have to be accompanied by her both parents at the facility? And what is the first thing to do? I read somewhere here that a naturalization certificate is needed if applying at legal age. Also, she acquired her citizenship through his father who is an American citizen but we divorced. Thank you so much. We need advice please. Answer: Your daughter's citizenship is already established since she has been issued a U.S. passport in the past. She can just present the same evidence of U.S. citizenship that you submitted at the U.S. Embassy in Manila when you applied for her first and second passports. Since she is already of legal age, she no longer needs the presence of a parent when she applies. She needs to apply in person at an acceptance facility. She can locate one and set an appointment here. Question: I was 11 when I got my passport in 2012, I am now 16 and i'm planning a trip for next year 2018 .. how do I renew it and does my parent have to be present at time of renewal? Answer: Passports issued to minors cannot be renewed. You need to apply in person for a new passport. At 16, you may apply without a parent present as long as you have your own government-issued ID like a driver's license. You also need to present a signed statement of awareness and consent from at least one parent accompanied with a photocopy of that parent's ID. If you do not have an ID yet, you need to apply for a passport the same way citizens obtain a child's passport. When does my son need to renew his passport? Question: My son just turned 18. He applied a passport when he was 16 in 2016 and it won't expire till 2026. When does he needs to renew his passport? Thanks. Answer: Your son can renew your passport his passport anytime but he does not need to until it expires. Son turned 16, is a new passport needed? Question: My son got his passport in 2015. he turned 16 but his passport does not expire until Nov 2020. Does he need a new passport since he turned 16 or can he travel on the current passport he has? Answer: Your son may travel with his current passport until it expires. Once it expires in 2020, he can apply for a new "adult" passport which will then be valid for 10 years. Question: I turned 18 last June, and I'm applying for a passport. I was scheduled on October. What ID's can I present? Is it okay to present 2 school ID's? This list is not exhaustive. Please call customer service at 1-877-487-2778 for more information. Question: My daughter is 19 and was issued her passport when 14. It is due to expire soon. Can we renew her passport before it expires or does she have to apply from scratch? Question: My daughter is 18 but the passport she got as a minor doesn't expire for a year. If she travels on her current minor passport, does she need a notarized letter from me to travel alone or with grandparents? Answer: No, she does not. Question: I have two sons who were issued passports in 2010 when they were 12 & 16 years old. The passports expired June 2015. My sons are now 18 & 22 years old. Are they eligible for renewal or must they apply as first-time applicants? Answer: Your sons must apply in person for new passports as if for the first time. You can access a complete list of requirements here. Question: My son has a child's passport and he is going on a holiday in the summer and he will be 18. Does he need to get an adult passport as his child's passport does not expires until 2019. Answer: Your son's passport is valid until the date of expiration. He does not need to apply for a new passport until 2019. Question: My son is 13 and my daugther is now 18. Their passports are expired. Do I need to renew them or fill out new passport applications? Answer: Your son must apply in person with both parents. If only one parent accompanies him, the applying parent must submit notarized consent from the non-applying parent or evidence of sole legal custody. For a list of requirements, visit minor passport requirements. Your daughter must appear in person to apply for a new passport at an application acceptance facility. She does not need to be accompanied by parents. 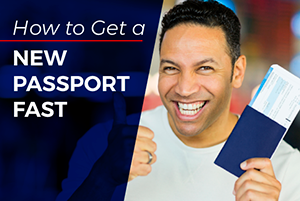 For a list of requirements, visit new passport for adults. Question: A minor's passport has a parent signature. The child is now 18 and her passport is not considered as an acceptable signature. How does she get her signature on the passport? Answer: Just sign underneath it.